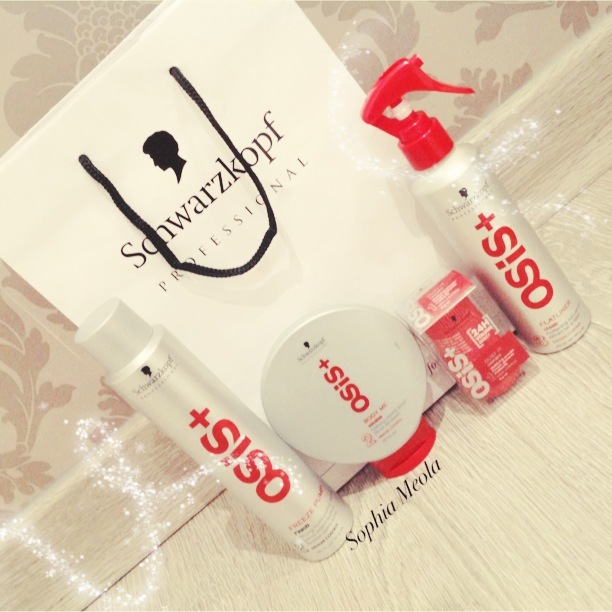 I was kindly sent these amazing Schwarzkopf OSIS+ products to try out and try to re-create Ashley Roberts Faux Bob from last Sunday nights Dancing On Ice episode. I have been using the products throughout the week so i could get more of an understanding of them and how well they worked with my hair. Overall i absolutely love them. I have a lot of hair which is thick and heavy and these products really helped get some body and life back into my hair. Especially when i striaghten my hair, as it's long and thick it can get really heavy and look really flat and unflatering on my face shape. When i applied the 'Body Me Serum' onto my damp hair and started to dry it i could already see a difference in the amount of body my hair had. I'm really picky when it comes to hairspray because if it's not strong enough my hair will not hold it's style. This product was amazing, the spray is really fine so i didn't get any crunchy parts after spraying it on my hair and it had a very firm hold. I used this also throughout the week and it held my natural curly waves really well also. This is one of my favorite products that i was sent, it actually does work! Like i said earlier, my hair is very thick and heavy and can seriously lack volume at the roots. I applied this product to damp hair and when drying it i could instantly see a difference, more life and body in my roots which was amazing! I have used a similar powder before and i found it didn't do anything for my hair, it left it feeling a weird tecture and my freshly washed hair looked dirty again :( sad times! As i have natural wavey / curly hair this product definitely came in handy when blowdrying my hair straight. It helped make my hair smooth, shiney and it also protected my ahir from heat, this little beauty does it all! After using this product i didn't even need to use my straightners on my hair as it was perfectly straight already, so it definitely helped with the time process. Hope you enjoyed reading through this post, If you have any questions or requests please do not hesitate to contact me or leave a comment below :D i love hearing from you all! Impressive effort, I know I would fail miserably at trying to make a bob, and my hair is shorter than yours! 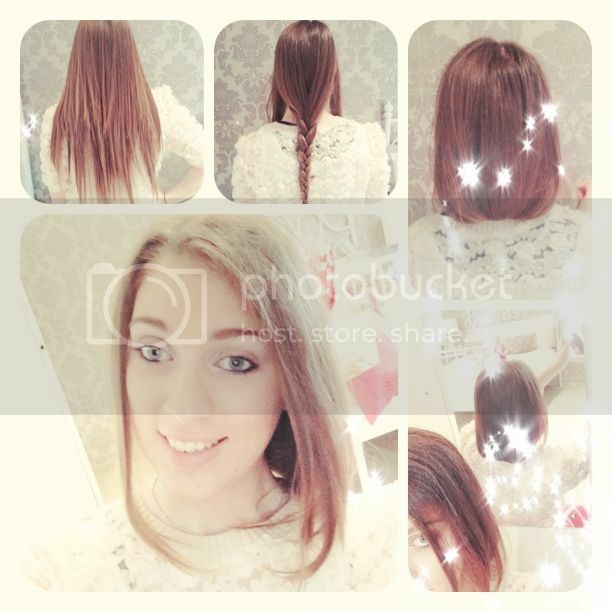 Good job lovely :) - You look gorj! Considering how much hair you have this is a fantastic effort! Looks gorgeous! the hair products sound really nice! i have never tried the osis brand! found you through the bbloggers chat and really like your blog i followed! come by for a visit to mine if you get a chance! I really wanna try the dust powder but I can't find it in Spain!